If you operate a backup and recovery platform that depends on agents to schedule and perform critical tasks, you may not be getting the best experience possible from your data storage. 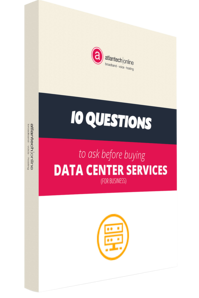 Having to install agents on your servers can significantly increase complexity and operating costs while also creating the potential for compatibility problems between agents. Perhaps you’ve heard about agentless backup software but are still unsure about exactly why you should make the switch. In this post, we’ll review a few of the main reasons why making the move to agentless backup software could be useful for your organization. The first reason you might want to try agentless backup software is that server agents are not free, so not using them immediately puts money back into your IT budget. However, even if these storage agents were free, they would still give rise to significantly higher operating costs. While agents require an ongoing supply of power to continue operating, agentless backup software ensures that all of the power that flows to a server is used by the server itself. This fact means that using agentless backup software could save your organization tens of thousands of dollars every year, due to lower energy costs. Server agents can open ports in storage firewalls, creating a tempting opportunity for hackers. The possible consequences of a data breach have now been well documented, both in terms of the actual data lost, the penalties associated with failing to comply with sensitive data regulations, and the cost of ongoing damage to an organization’s reputation. As a result, the simple act of using server agents requires an organization to take extra security measures, which can be a source of added cost and complexity. On the other hand, agentless backup software does not interfere with existing firewalls. In fact, the software often comes with robust encryption and secure data transmission features baked in. What good is a data backup solution that can’t even recover half of the data it stores? Unfortunately, recoverability rates under 50 percent are not uncommon for organizations that rely on agent-based backup solutions. This is as a result of the complexity and lack of integration that are inherent in all storage platforms that use server agents. Agentless backup software can help an organization implement backup platforms that are simple, efficient and consistent, even on remote sites. As a result, the rate of data recoverability will increase significantly, and business leaders will be able to spend less of their time worrying about what might happen if critical data is lost. In addition to the price of operating the agents themselves, many vendors that offer agent-based backup software also charge license fees that are both expensive and difficult to understand. Agentless backup software uses simplified pricing based on the actual amount of storage data used. This creates a greater sense of transparency, making it easier for organizations to understand exactly what they would pay for data backup. Also, this pay-as-you-grow pricing model is perfect for smaller organizations that only need a limited amount of storage capacity to start with, and don’t want to overpay to get it. Agentless backup software has very little impact on the performance of servers and workstations, as it removes the drain on CPU resources that agent-based software creates. 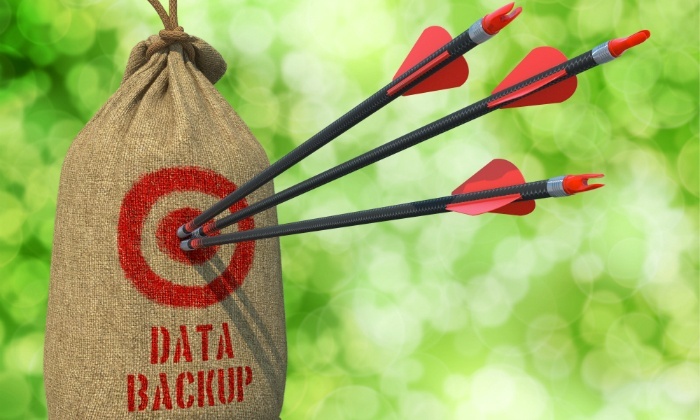 In addition, agentless backup software can use a variety of data reduction techniques to cut down on the total amount of data an organization must store. This fact helps organizations make the most of their limited storage resources. Finally, agentless backup software allows data centers to communicate with remote offices using existing telecommunication lines, instead of requiring a special high-speed connection like many agent-based solutions do. In an era when exponential data growth and increasing complexity is a problem for organizations of all sizes, agentless backup software ensures that these companies are able to scale quickly to address the changing business world around them. A storage environment based on an agentless backup platform can scale easily for both capacity and performance, without creating added complexity. This is true even for organizations that operate very large environments with many remote sites. Since adding agents to a server creates complexity in and of itself, trying to address data growth and complexity by scaling an agent-based solution will only exacerbate the complexity that exists in the environment. An agentless backup solution functions as a single piece of software. This means that an IT leader only has one piece of software to implement, one piece of software to manage, and one piece of software to diagnose in the event that something goes wrong. This is in stark contrast with agent-based solutions, where each agent functions as a separate system that must be managed separately. The simplicity of agentless backup software also extends to updates: the software can update itself automatically, removing the need for time-consuming manual updates. While this post clearly illustrates the fact that agentless backup software can be an excellent choice for many organizations, it's important to realize that choosing a backup and recovery solution for your organization is a very big decision, and it's one that must not be taken lightly. The consequences of failing to protect your data are dire, so you must take your time and consider all of your organization's unique storage needs before picking a platform. Talking with experts is an excellent way to help determine if agentless backup software might be a good choice for your organization. Contact the experts at Atlantech today to learn more about agentless backup software.